Been looking for the right place to stay in Bangkok but got a bit overwhelmed? We’ve been through the same problem while finding the best area to stay in Bangkok. We feel you and that’s why we’ve come up with our five favorite neighborhoods in Bangkok to help you. They aren’t only friendly to your wallet but also located just a few steps from BTS stations or main piers. Plus, each neighborhood brims with local food stalls and hip eateries. They all offer the much needed respite from Bangkok’s clamor, yet still let you soak in the metropolitan feels. Now let’s see our suggestions for where to stay in Bangkok. 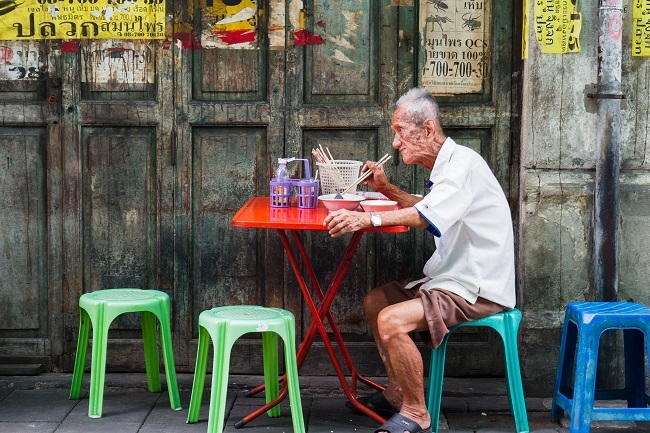 One of our favorite streets in Bangkok happens to be adjoined to Khao San road. Don’t be put off by that, though. Phra Athit Road exudes a retro aura fused with hearty hipsterism. Cozy guest houses and upscale boutique hotels hide behind passe wooden doors. This is where you’ll find an old house turned pizzeria (Delicatezza Baan Phra Athit), local’s go-to live jazz bar (Jazz Happens) and 200-something fortress turned historical attraction (Phra Sumen Fort). Phra Athit Road is only a 15-minute walk to the major temples including The Grand Palace and Wat Pho. Tha Phra Athit Pier is located at a stone’s throw from the main street, making a boat ride one of the most convenient ways to explore other areas in Bangkok Old Town. Located 5 BTS stops away from Siam, Saphan Taksin is where the well-known Sathorn Pier lies. The area also has a lot to boast. The open-air mall Asiatique, the tri-cultural community Kudi Jeen and groovy fusion eateries spread along the adjoining valleys of Charoenkrung. The neighborhood displays a quirky mix of old-fashioned Chinese trade hub and budding art-and-culture outlet. You know, neat concept stores, independent cinema and stuff. 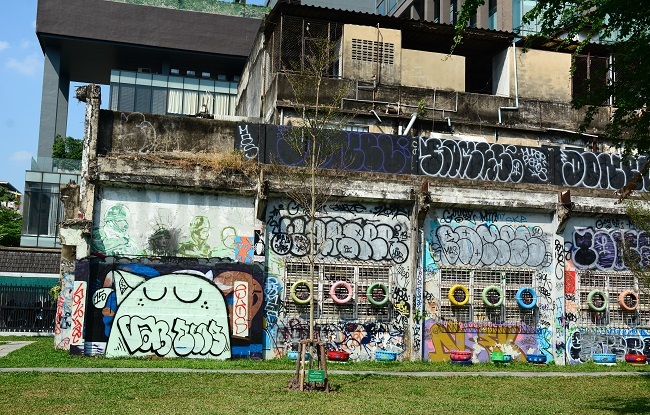 Plus, Saphan Taksin is just a 15-min ride to the renowned Yaowarat Chinatown. No more than a couple stops from the ever-buzzing Siam, these two neighboring areas surprisingly offer a much more homey feeling. Shrouded by high-rise condominiums are a dessert shophouse that opens around the clock, a polished hole-in-the-wall craft beer place (Featlab) and a handful of luscious pavement stalls. Located only 2 quick stops from your beloved Chatuchak Weekend Market, Ari is a very local neighborhood where Bangkok’s everyday life is spiced up by tasteful Thai dessert cafe (One Dee) or scrumptious Italian kitchen (Cantina). The fruit and vegetable stands along the streets also offer a glimpse of what’s in a Thai grandma’s grocery bag. These two upscale neighborhoods sit right at the heart of Sukhumvit Road. It might come as a surprise that they don’t exclusively flaunt the glitz and glamour of open-air community malls. Rooted along the Sukhumvit backstreets are the Bib Gourmand Thai noodle stall (Roong Rueng), vegan eateries, and specialty coffee shops. A plethora of high-quality hair and massage parlors and nail spas fill the streets of Phrom Phong and Ekkamai.